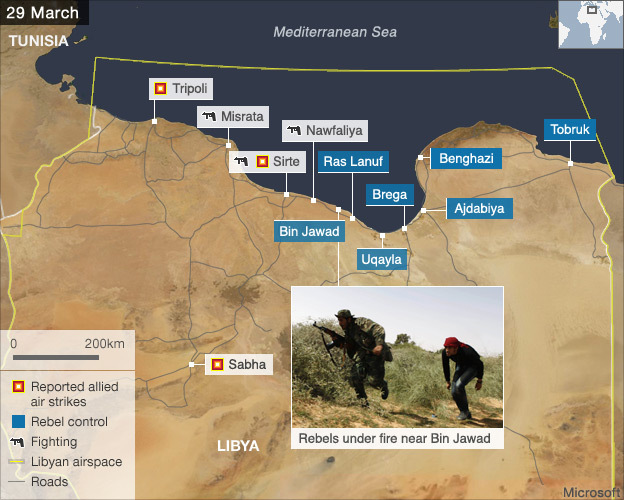 Please note that the combat in Misrata is Gaddafi forces attacking a civilian population. No Free Libya forces here. Just desperate citizens who have taken up what arms they can find. Caught in a deadly vise. Gaddafi has surely given orders that Misrata must fall to him, no matter the human cost. He will level the city if necessary. It’s firmly in the East and the only place left he hasn’t pounded into resentful submission.